The ASP Directory of Resources contains listings of professionals, special schools and centers, government agencies and organizations that extend services to persons with autism. This directory is a product of years of compilation of data. ASP has exhausted all available means to provide the users with reliable and updated information from different resources. Contains a listing of special schools accepting persons with autism, public and private schools accepting persons with autism, therapy centers, clinicians, government agencies and colleges and universities with special education programs/courses. Order your Directory of Resources for Persons with Autism. Available for only P200 for members and P250 for non-members. 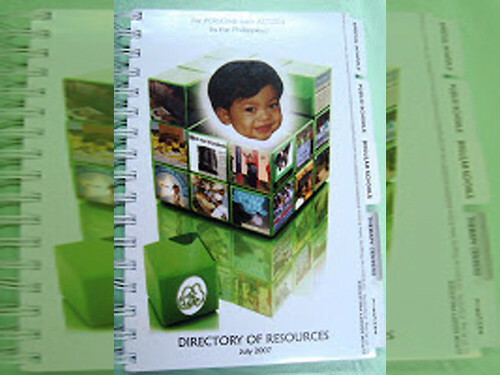 How can I purchase the Directory for Resources for Autism?Do i need to go to an ASP office or can i just deposit the amount to a bank and receive the Directory by mail?Thank you.